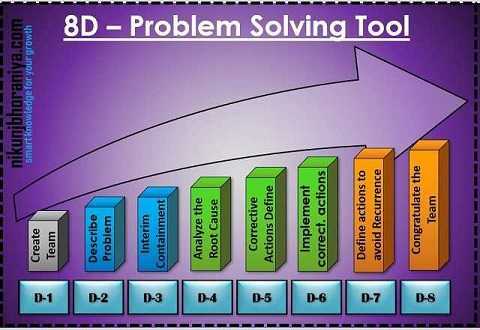 → Problem Solving Techniques is the various method used to solve the problem. → In other words “Any Gap between what is expected and what is obtained”. → Any effort to reduce this gap between what is expected and what is obtained called “Problem Solving”. → In a simple word "Correction is like first-aid," Correction is the instant action that is taken to correct the nonconformity or to reduce the impact of nonconformity. → "Corrective actions are steps that are taken to remove the causes of an existing nonconformity or undesirable situation or event." → "Prevention is to eliminate the causes of potential nonconformities or potential situations that are responsible for an undesirable situation or event. → "Preventive actions are steps that are taken to remove the causes of potential nonconformities or potential situations that are undesirable. 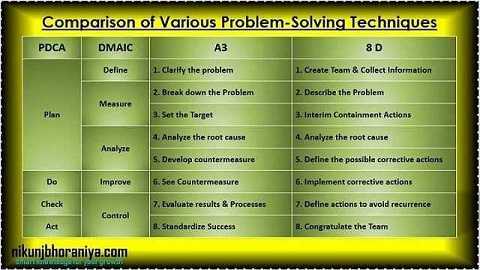 What is Problem Solving Method? 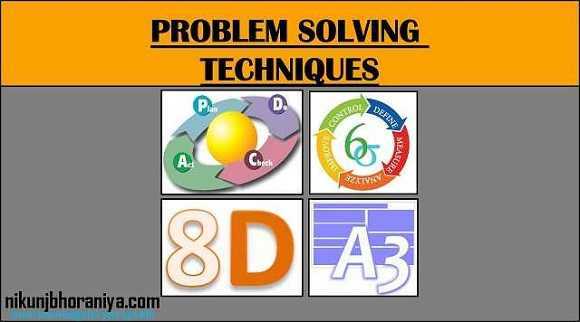 → Problem Solving Techniques is The various method used to solve the problem is called Problem Solving Techniques or Problem Solving Methods. → It is an effort to reduce the gap between what is expected and what is obtained. → PDCA (plan-do-check-act) is also called Daming Cycle or Daming Wheel or Daming Wheel. → While PDSA (plan–do–study–act) is called the Shewhart Cycle. 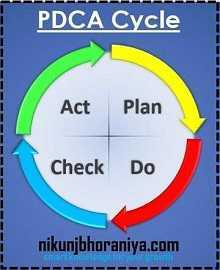 → PDCA (plan-do-check-act) is a repetitive four-stage model for continuous improvement in business or process management. → Supply Chain Management (SCM) and many other areas of business. 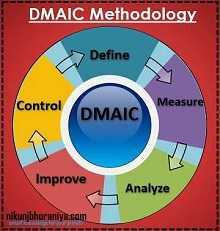 → DMAIC is a quality strategy used to improve processes. → In general, DMAIC can be implemented as a standalone quality improvement procedure or as part of other process improvements. → It is widely used by Toyota motors and its supplier. → It is widely used by Ford Motors and its supplier.